The first part of this chapter discusses the transformative potential of Interactive Whiteboards (IWBs), by analyzing the opportunities of using this technology in conjunction with Web 2.0 tools to support constructivist practice in the language classroom. The second part draws upon research data and literature review results to examine the role played by teachers in the realization of this potential. A special focus has been placed on the various evolutionary stages that teachers go through as they integrate IWB technology into their teaching. The research data derives from a case study conducted with nine English teachers from a secondary school in Germany. The study was conducted within an interpretative research paradigm, and data were collected via qualitative research instruments, namely interviews, classroom observations and the video recording of one IWB training session. Research findings revealed that the teachers investigated were gradually becoming aware of the transformative potential of IWB technology. An IWB is basically a surface onto which a computer screen can be displayed via a projector. It is touch-sensitive, which means that all applications on the computer can be controlled by touching the board, either with your finger or with an electronic pen/stylus. Through interaction with whiteboard, the users can change the displayed information on the computer and save them for later use. In other words, the IWB with its projection capability and touch-sensitive feature facilitates interaction with a computer in the classroom in a similar way as known from blackboards. Many different brands of IWB are currently available. Some examples are: Activboard (Promethean), Smartboard (Smart) and Starboard (Hitachi). Most IWBs are supplied with specific software tools to exploit the potential of the board. This software enables the use of “electronic flipcharts,” which are blank pages for creating teaching materials. Pages can be turned backwards and forwards. The number of pages that can be used is unlimited. By making use of the software, the teacher has access to various tools which enable several activities, such as: handwriting, colouring, highlighting, dragging and dropping, hiding and revealing, handwriting recognition, web browsing, creating snapshots, designing interactive exercises and so on. IWBs can also be used to present and control other software, for example, any teaching application, Web browsers with all related tools or video applications. IWBs are often used in conjunction with remote devices, such as graphic slates and learner response systems (voting systems), which help to enhance the scope of pupils’ participation and interactivity during the lessons. Learner response systems, for instance, enable teachers to ask their pupils to vote electronically on questions. Each student is given a voting keypad (which can be registered with the whiteboard so that each student has a unique ID) and can respond to teachers’ questions. Results can then be displayed immediately on the whiteboard in graphical form and exported to a spreadsheet. The technology allows teachers to decide whether they want pupils to vote anonymously or on “named mode” (Cutrim Schmid, 2006, 2007, 2008a). Learner Response System: Wireless response system enabling students to respond to assessment and other questions. Results can then be displayed immediately on the IWB in graphical format. ActivStudio: This is a software application produced by Promethean that allows the screen on an interactive whiteboard to become a digital textbook or flipchart. Teachers and students can produce their own multimedia flipcharts or use commercially available textbooks which incorporate video, images and audio. Graphic Slate: A5 graphic tablet which operates remotely with the IWB, enabling teachers and students to take control of the IWB from anywhere in the class. 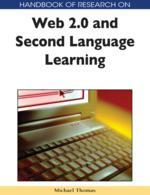 IWB Software: Software used in conjunction with an IWB. It enables activities such as handwriting recognition, web browsing, window annotation, dragging and dropping, and so on. Electronic Flipcharts: Design area, or blank pages for creating teaching materials to be used with an IWB. The number of pages that can be used is unlimited. Flipcharts can be prepared before a lesson or they can be generated during the course of the lesson. IWB Software Resource Library: IWB software tool that is used to access a wide range of resources, such as: stock annotations, saved flipchart pages, images, sound files, web links, background tiles or templates and so on, which can be clicked and then dragged onto the page in one movement. Online Multi-User Whiteboards: Online whiteboards, such as: skrbl , skriblink , and bubbl.us , which allow users to sketch, plan, and collaborate online in real time.